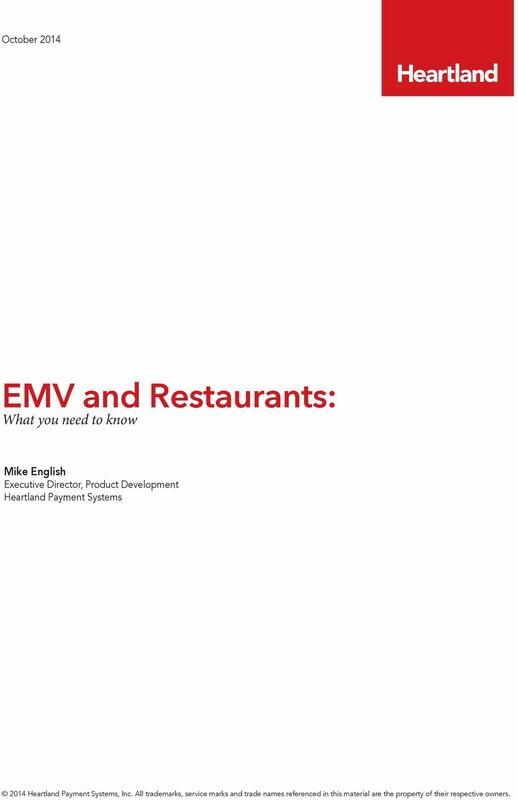 Download "EMV and Restaurants: What you need to know. Mike English. October 2014. 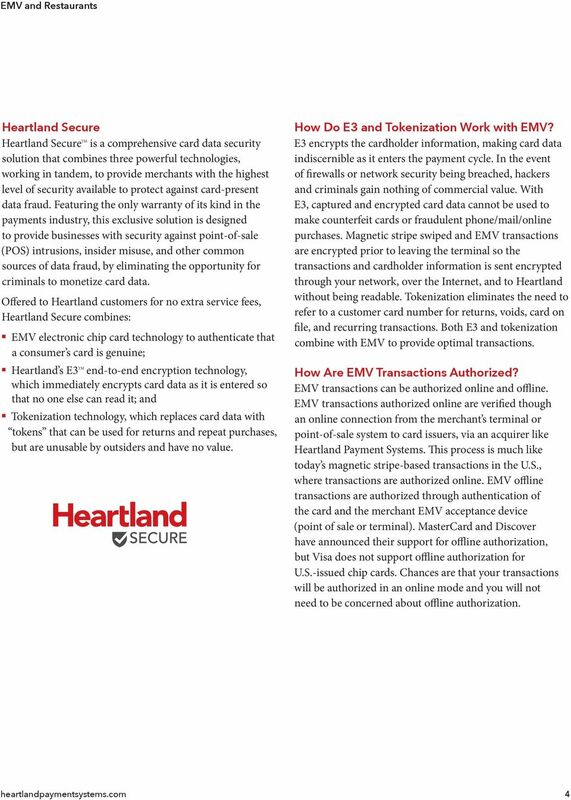 Executive Director, Product Development Heartland Payment Systems"
1 October 2014 EMV and Restaurants: What you need to know Mike English Executive Director, Product Development Heartland Payment Systems 2014 Heartland Payment Systems, Inc. All trademarks, service marks and trade names referenced in this material are the property of their respective owners. Save Money on Credit Card Processing. So how do you save money on credit card processing? It is a very simple process. 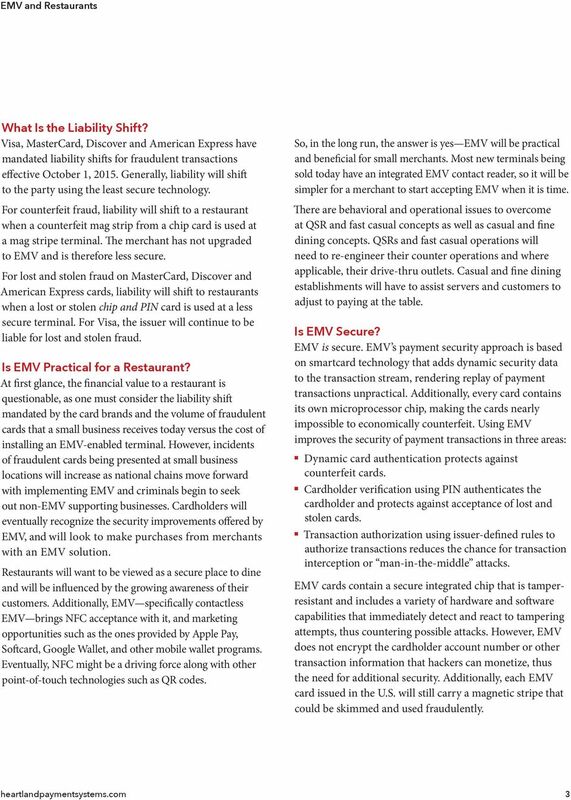 What is EMV? What is different? PCI 3.1 Changes. Jon Bonham, CISA Coalfire System, Inc.
How to Prepare. Point of sale requirements are changing. Get ready now. 2 TABLE OF CONTENTS Intro... 2 Are You Ready?... 3 What Is?... 4 Why?... 5 What Does Mean To Your Business?... 6 Checklist... 8 3 U.S. Merchants 60% are expected to convert to -enabled devices by 2015. 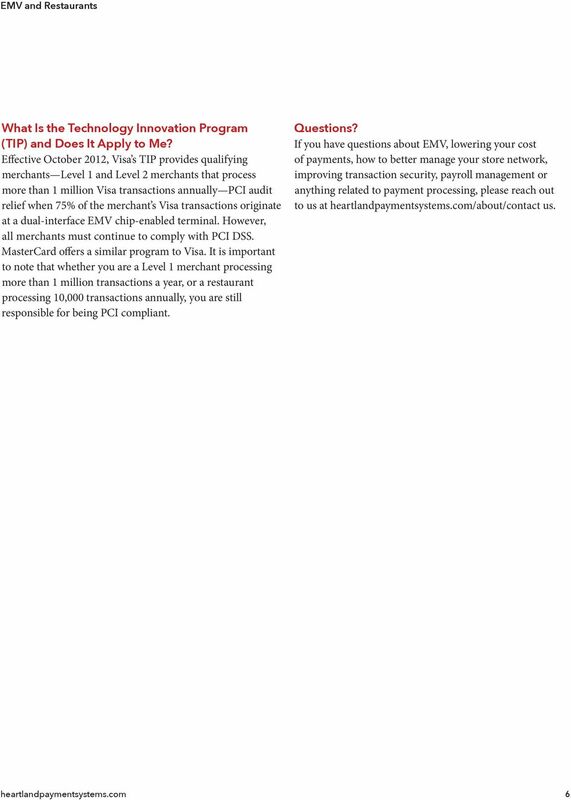 Visa Recommended Practices for EMV Chip Implementation in the U.S.
How Secure are Contactless Payment Systems? 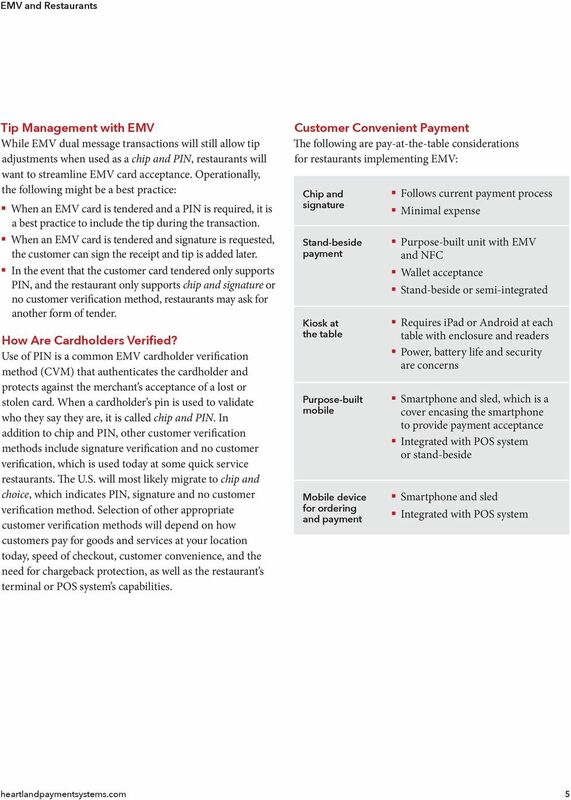 A Guide to EMV. Version 1.0 May 2011. Copyright 2011 EMVCo, LLC. All rights reserved. : WHAT YOU REALLY NEED TO KNOW WHAT IS EMV? 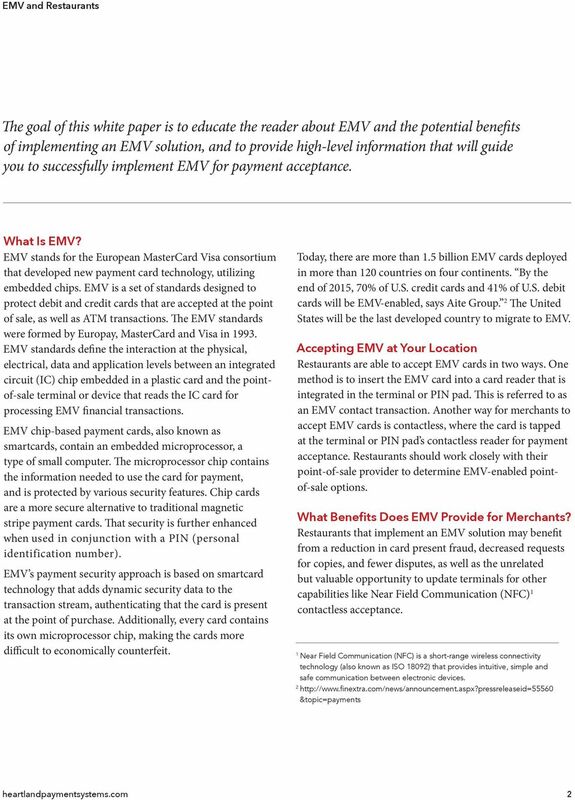 EMV specifications are a global set of guidelines developed by Europay, MasterCard and Visa (EMV) in the 1990s to standardize embedded chip card technology. Are you ready to grow revenues and curb fraud by deploying a contactless payment solution? Tokenization: FAQs & General Information. www.tsys.com BACKGROUND. GENERAL INFORMATION What is Tokenization? A RE T HE U.S. CHIP RULES ENOUGH?